can reconfigure dynamically. Furthermore, our observations reveal that memory also drives the network formation process, and cooperators assort more, with longer link lifetimes, the longer the past actions record. Our analysis demonstrates, for the first time, that reputation can be very well quantified as a weighted mean of the fractions of past cooperative acts and the last action performed. This finding has potential applications in collaborative systems and e-commerce. J. 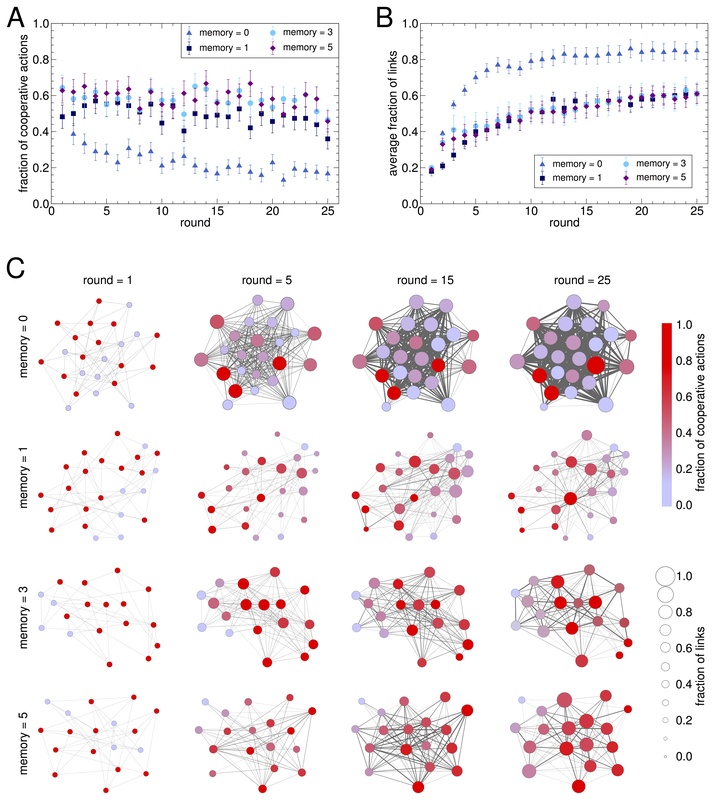 A. Cuesta, C. Gracia-Lázaro, A. Ferrer, Y. Moreno, and A. Sánchez, “Reputation drives cooperative behaviour and network formation in human groups”, Scientific Reports 5:7843, doi:10.1038/srep07843 (2015)..